How Effective is Your Platform Strategy? This indispensable guide will show you how to create superior customer value and get paid for it. Did you know I offer one-on-one coaching? 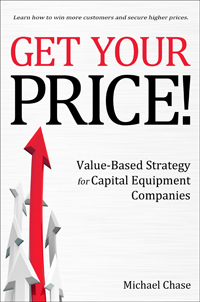 I’ve helped dozens of capital equipment product management and marketing professionals accelerate their careers and secure more customers at higher prices this way. I’d love an opportunity to help you.